MOM has been described as the 'birth child' of bands such as Pink Floyd and Led Zeppelin (Middle Tennessee Music 2013). Their sound is something of an amalgamation of old and new alternative rock, pop and the emotive feelings of film inspired music. "The Monks of Mellonwah are the love child of Led Zeppelin and Pink Floyd - bred in the land down under - and undeniably destined for greatness." You won't have to traverse the jagged and frigid Nepali highlands to meet these monks. The Monks of Mellonwah are a band from Sydney, Australia - and the only vows they've taken are to guide their fans on an introspective musical journey up an uncharted mountain of unadulterated alt-rock. The Monks of Mellonwah consist of; lead vocalist Vikram Kaushik, guitarist Joseph de la Hoyde, as well as drummer Joshua Baissari and bassist John de la Hoyde. The creative collision of these four musical personalities yields a timeless, yet inimitable array of alternative rock, progressive rock and cinematic-themed scores. Together for only a little over four years, the Monks of Mellonwah have catapulted quickly into success on a global scale. In addition to worldwide airplay, the band has gleaned over four-hundred press reviews - as well as syncs and licensing - from the likes of Bunim/Murray Productions, MTV Networks, Discovery Channel, and FOX Sports. In addition, the band has already toured the U.S.A, Singapore and Australia. 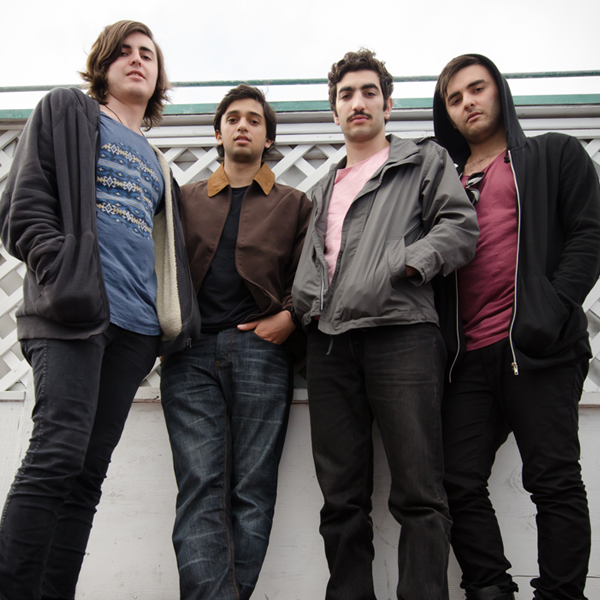 "M.O.M" were voted "Best Indie Rock Band" in the 2012 Artists in Music Awards and placed as the "International Rock Artist of the Year" at the 22nd Annual LA Music Awards in 2012. The Monks of Mellonwah stand more as a quadrangle than a quartet, with each facet reflecting their cumulative creative goal; to deliver all-original music in its purest, untainted form. Guitarist Joe de la Hoyde elaborates, "We want our music to be an emotive journey that takes the listener to the heart of their own inner selves - in the hope that the discovery of their demons can lead to the discovery of themselves." Stylistically, the band has evolved dramatically over a short period of time, impossible to be boxed into any genre. There's a variety of subtle hints of musical influence that arise from each band member, which include Led Zeppelin and Pink Floyd, as well as bands such as Muse and Red Hot Chili Peppers. Brought together in October of 2009, it was the inherent and collective love of performing live that melded the members Monks of Mellonwah into what they are today. They've already had the opportunity to perform at venues around the world which include the world-famous Whiskey A Go Go and The Avalon Theatre in Los Angeles, The Mercury Lounge in New York, as well as Sydney Australia's The Metro Theatre and The Factory Theatre. With tours already under their belt in the U.S.A and Asia, the Monks of Mellonwah continue to blossom. "During the last three years, we've developed both as individual musicians – but more importantly - collectively as a band also," adds de la Hoyde. To date, "M.O.M" has released three EPs, beginning in 2010 with Stars Are Out, a five-track debut that featured the single "Swamp Groove" - which became the group's first popular single on Australian radio. In 2011, they followed the classic-rock and retro sounds of Stars Are Out with an edgy alt-rock single release entitled, "Kyoto." In 2012 it was the release of Neurogenesis, a five-track EP, which led to multiple licensing agreements, and press exposure via the EP's title track as well as the single, "Neverending Spirit." In 2013, showing their diversity in style, the Monks of Mellonwah released a three-track cinematic trilogy entitled Sky and the Dark Night. The film-inspired project epitomizes what "M.O.M" is all about – interweaving a matrix of multiple genres into one track with an eight minute run time. In 2013 began release their first full-length album, Turn the People in three-part volumes – with the album in its entirety to be released in March, 2014. Volume 1: "Ghost Stories" was released in June 2013, followed by Volume 2: "Afraid to Die" in October. The final Volume 3: "Pulse" is scheduled for release, along with the full album, in March, 2014. Grammy-winner producer and sound engineer Keith Olson (Fleetwood Mac, Ozzy Osbourne, Grateful Dead) produced five of the tracks on the upcoming Turn the People album. In 2014, the band plans on touring both Europe and the U.S.A. in support of the album. The Monks of Mellonwah set out musically not to repeat past styles, yet rather to pave the future for alternative rock. In doing so, they take the preeminent sounds of 70s psychedelic rock and 90s alternative – and blend it into something fresh and new ... Their music is an adventure - not a destination. Volume 1 of their debut album Turn The People, Ghost Stories is a new and explosive release from the Monks of Mellonwah. Featuring single Ghost Stories as well as two other new tracks Vanity and Sailing Stones. The Monks are a dynamic four-piece Alternative Rock Quartet based in Sydney, consisting of: Vikram Kaushik (vocals/guitar), Joseph de la Hoyde (lead guitar), John de la Hoyde (bass), Joshua Baissari (drums) . Music draws influence from the soundscapes of Pink Floyd, virtuoso blues of Led Zeppelin and the blazing alternative rock of Muse, creating a unique and masterful blend of new and old. 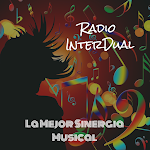 Support from triple j, FBi, HKGFM, My Social Radio and Amazing Radio in addition to airplay in LA, Philadelphia, Seattle, Portland, Phoenix, Detroit and more. Global airplay includes spins in Germnay, South Africa, Ireland, Sweden, Romania and more. Music has been featured on MTV’s The Real World: St. Thomas (U.S.), Independent Film 'Old Beginnings' (Cannes Film Festival 2013) and will soon be featured on popular RTL Channel Show (Germany 2014). Reviews and features include coverage on MTV, CMJ, The Huffington Post, Buzzfeed, Noise 11, Absolute Punk, AntiMusic, Big Takeover Magazine, King’s Of A&R, Guitar Trump, The Ripple Effect and more.